Once again, Buckley’s Middle and Upper School students participated in a rousing Spirit Week! Congratulations to our eighth and twelfth graders for winning the Middle and Upper Spirit Week Competitions. Click here to watch a video of the sixth grade's entrance. Click here to watch a video of the seventh grade's entrance. Click here to watch a video of the eighth grade's entrance. Click here to watch a video of the ninth grade's entrance. Click here to watch a video of the tenth grade's entrance. Click here to watch a video of the eleventh grade's entrance. Click here to watch a video of the twelfth grade's entrance. If you see Upper School student Annika R., please congratulate her with a warm, “Eugepae!” She’ll be speaking Latin this summer, so she’ll appreciate the ancient chit-chat! 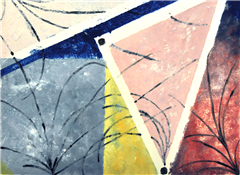 Congratulations to our 2019 art award-winners! Junior Brayden S. won the Earth Watch Prize at the LA Science & Engineering Fair, and will be advancing to the California State Science Fair. 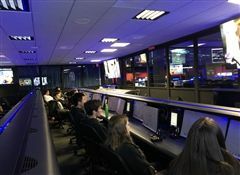 The astronomy and aerospace classes visited the NASA Jet Propulsion Laboratory (JPL).